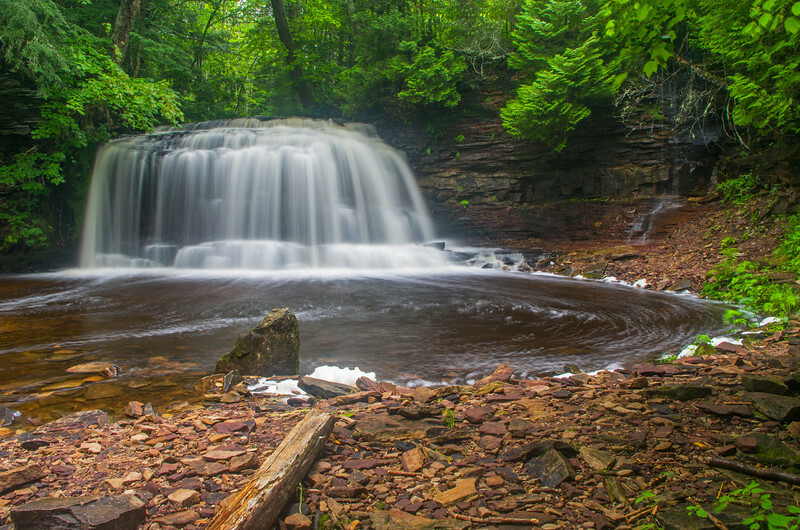 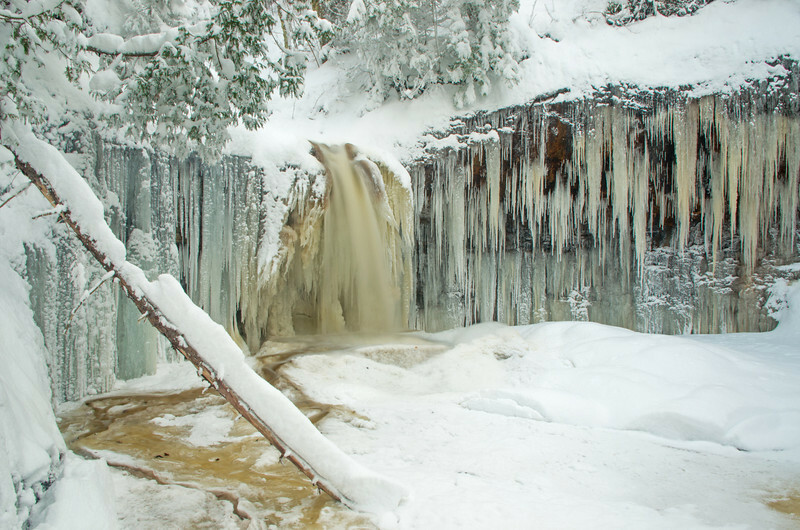 Upper Mosquito Falls in the Pictured Rocks National Lakeshore. 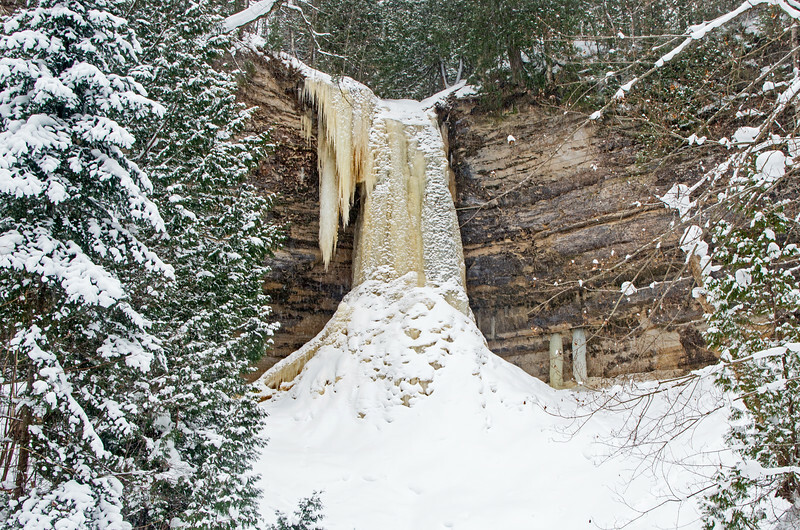 Winter is a great time to visit Munising Falls in the Pictured Rocks National Lakeshore. 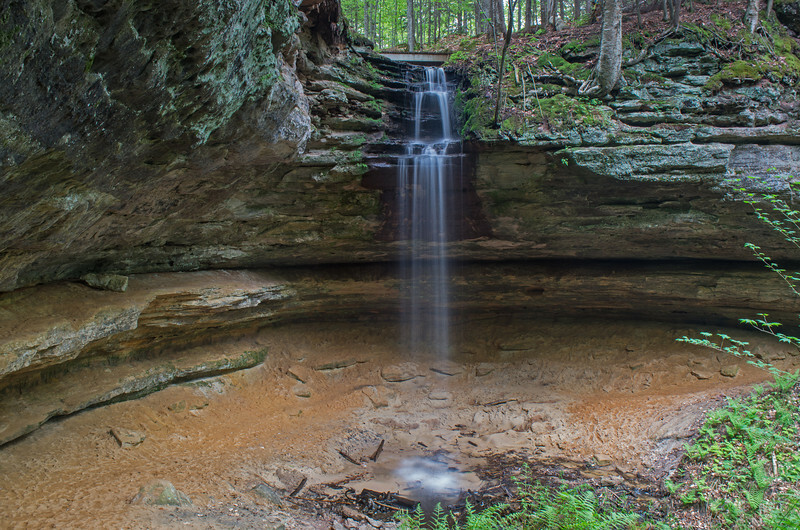 One of the many waterfalls in the Pictured Rocks National Lakeshore. 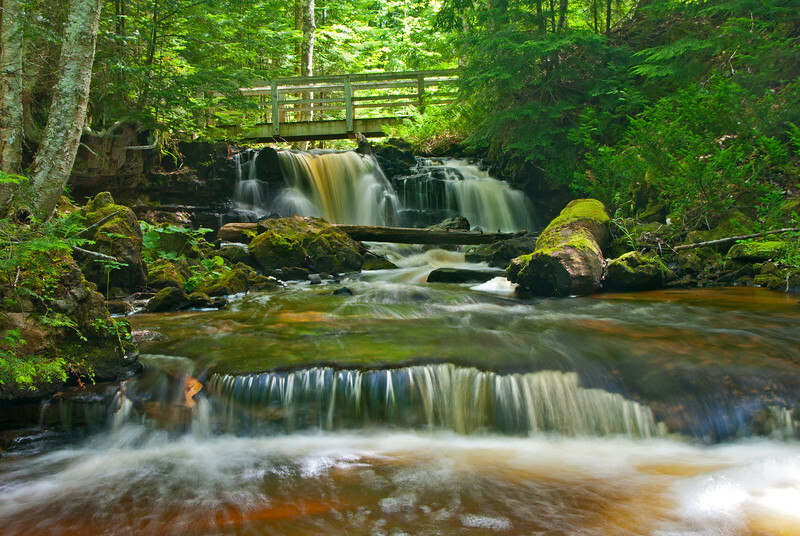 One of the many footbridges in the Pictured Rocks National Lakeshore. 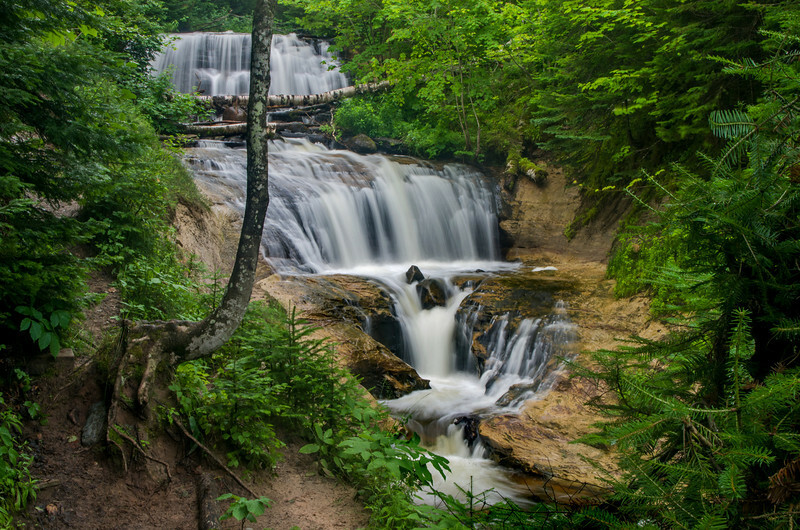 Mosquito Falls in the Pictured Rocks National Lakeshore. 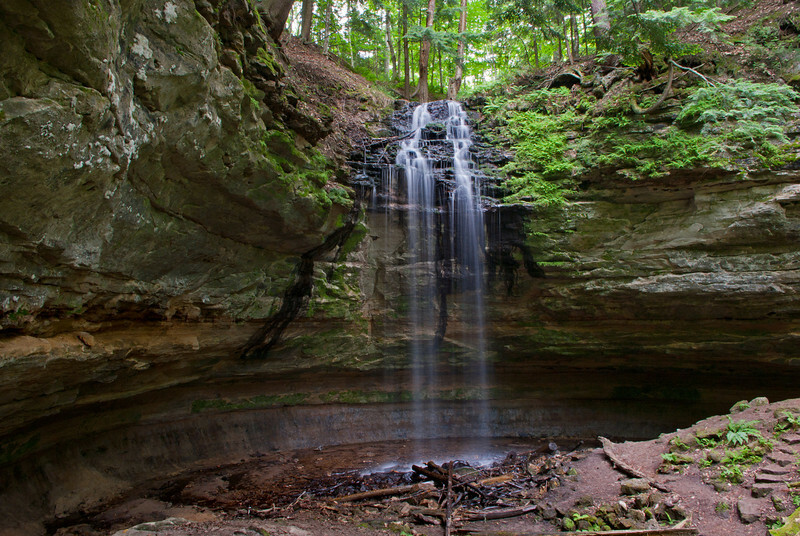 A short hike though a beautiful sandstone canyon leads to Memorial Falls, where a small three foot wide stream plunges over the lip of the canyon, hits a rock ledge,then continues its 30 foot drop to the sandy floor below. 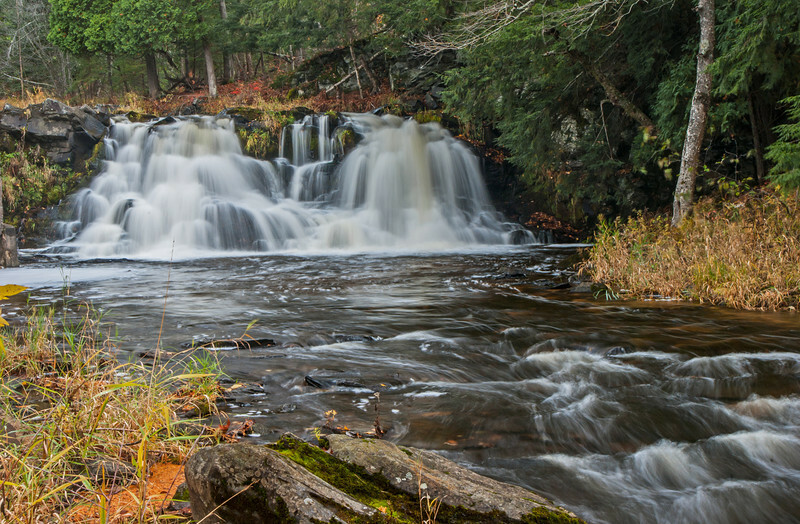 After several days of steady rain Rock River Falls was flowing better than I had ever seen it. 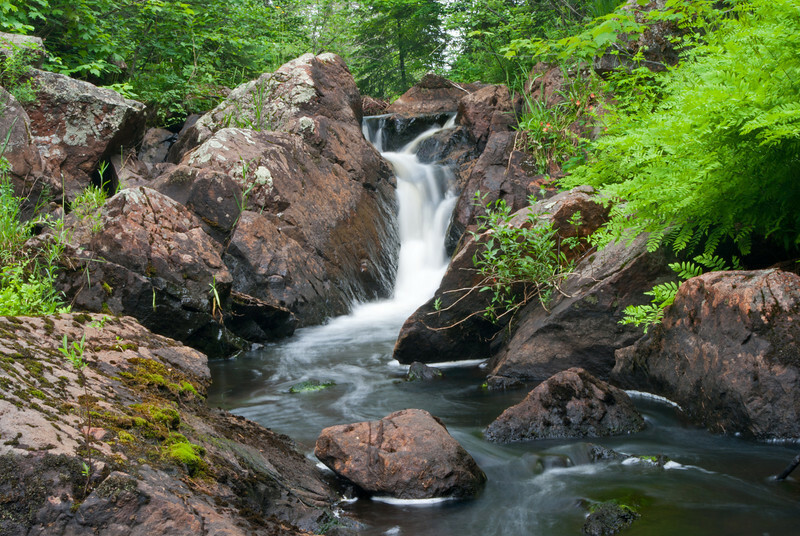 While it normally flows in two separate streams, leaving an exposed rock ledge in the center, today it was a beautiful unbroken expanse of tumbling water. 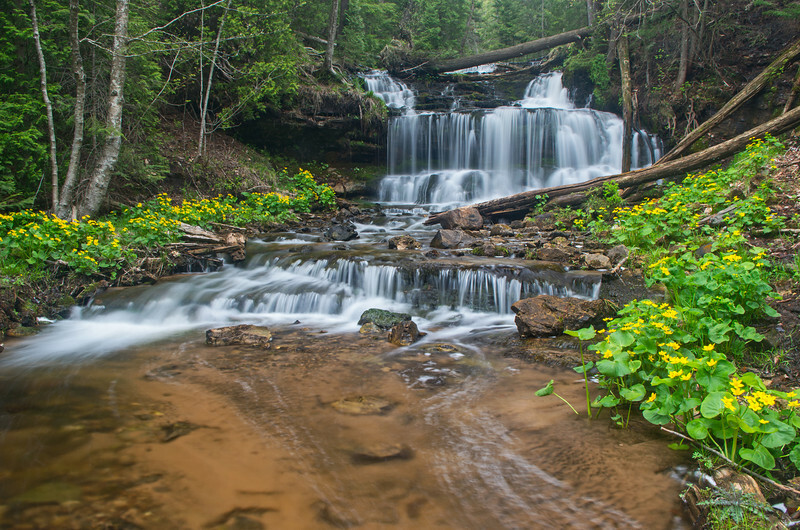 Marsh Marigolds in bloom at Wagner Falls just outside of Munising Michigan. 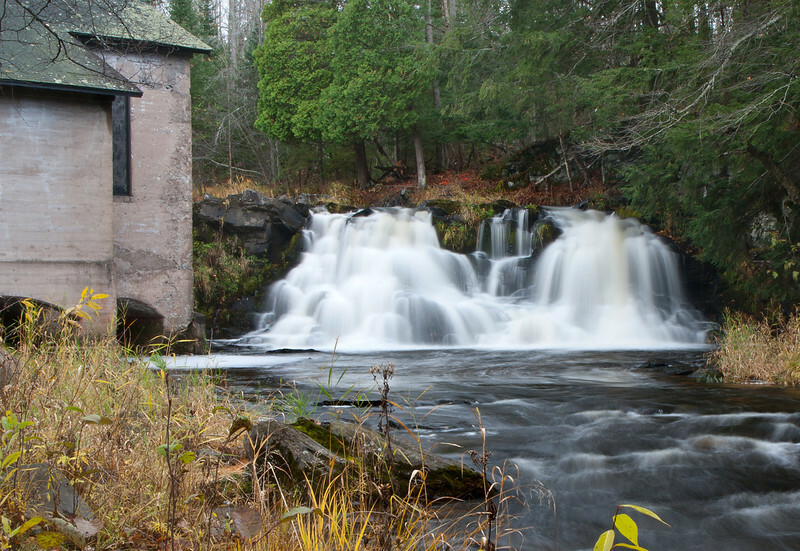 Powerhouse Falls on the Falls River near L' Anse Michigan. 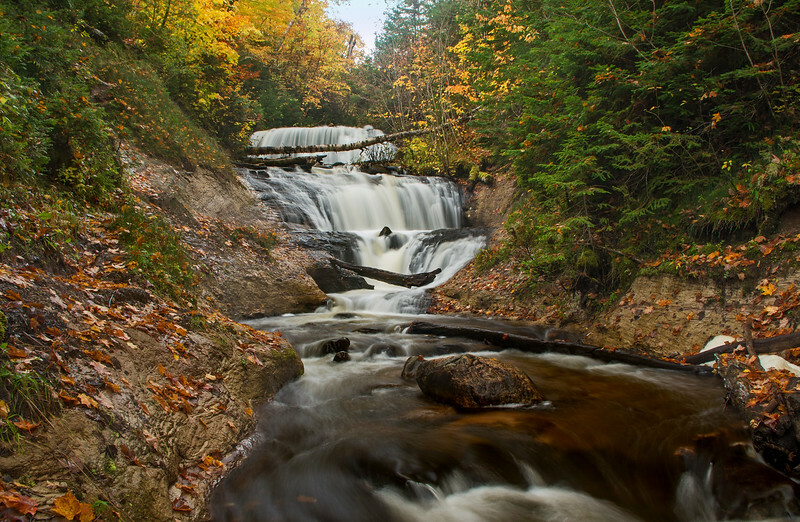 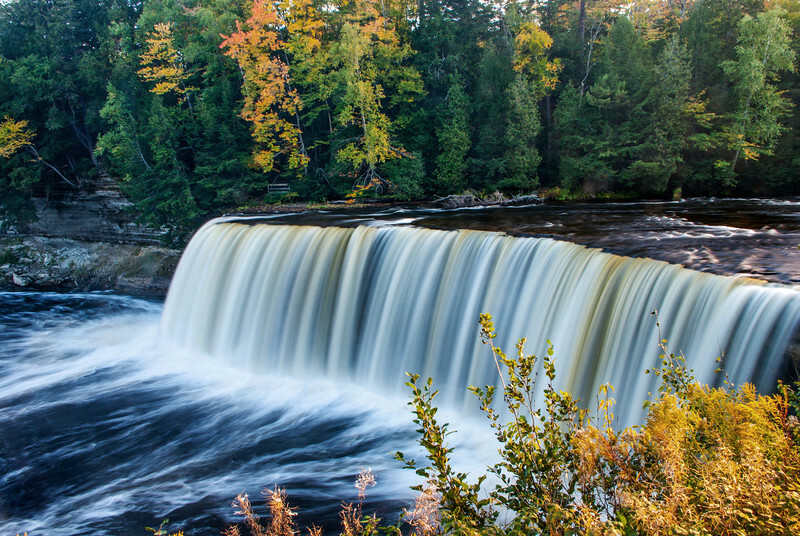 An autumn hike leads to Sable Falls in the Pictured Rocks National Lakeshore. 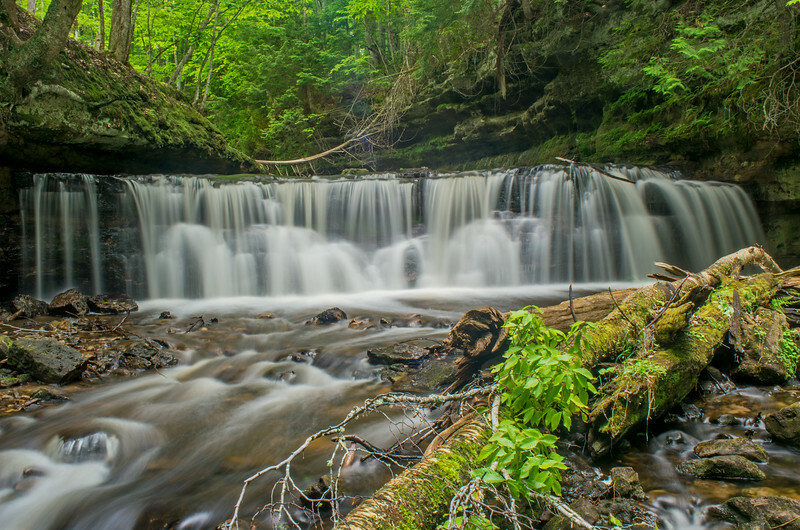 Tannery Creek drops 40 feet over the edge of a sandstone canyon to form Tannery Falls just outside Munising Michigan. 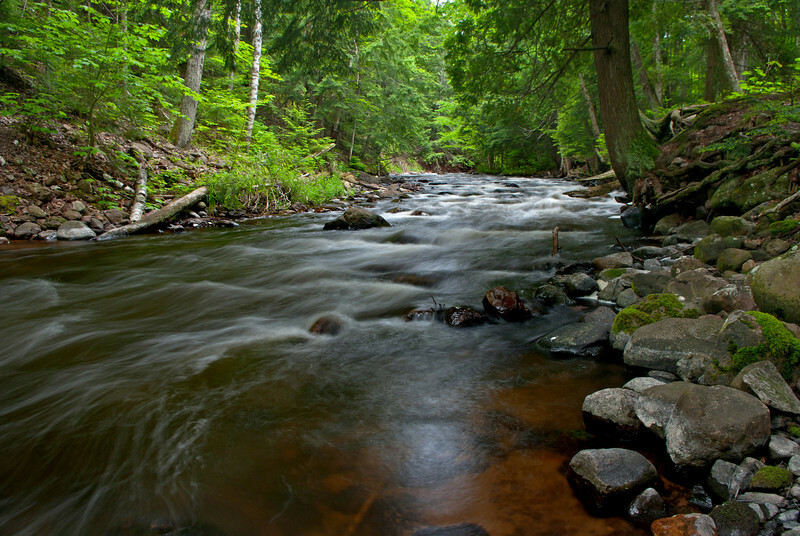 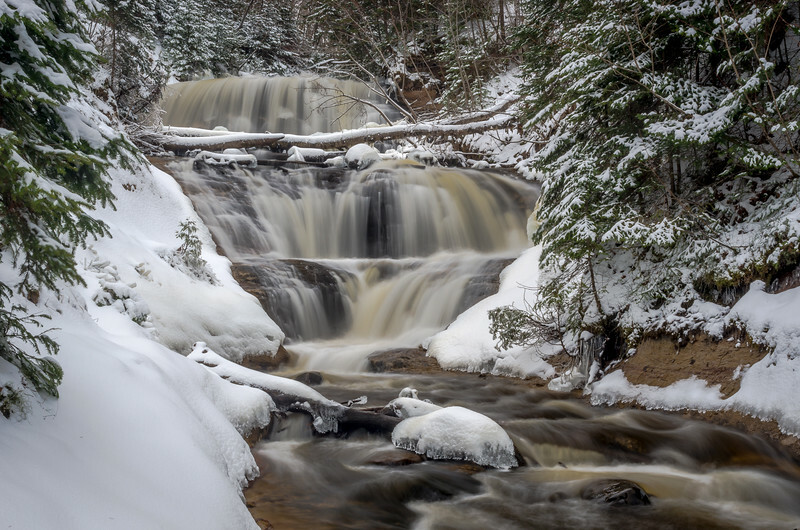 Lower drop of Reany Falls on Reany Creek near Marquette Michigan. 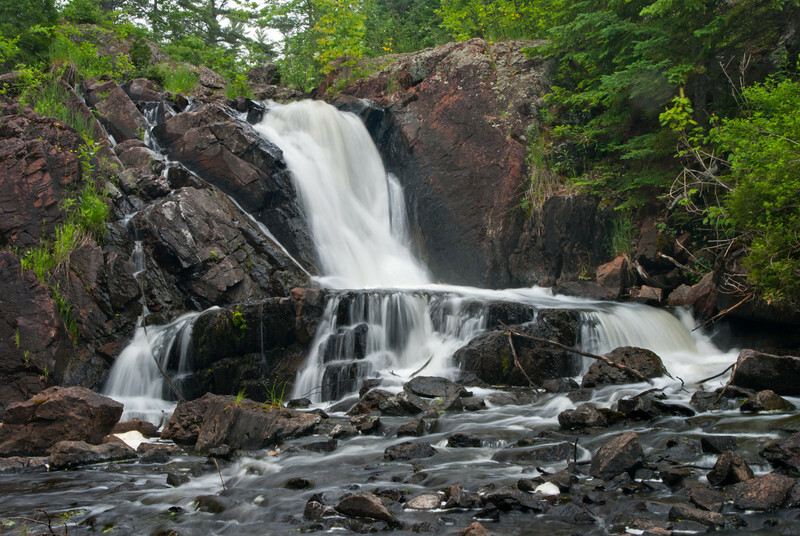 Reany Falls on Reany Creek not far from Marquette Michigan. 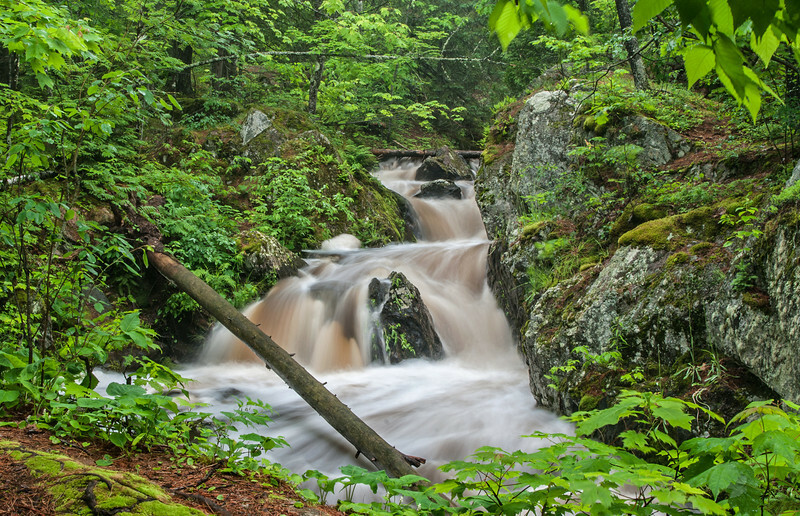 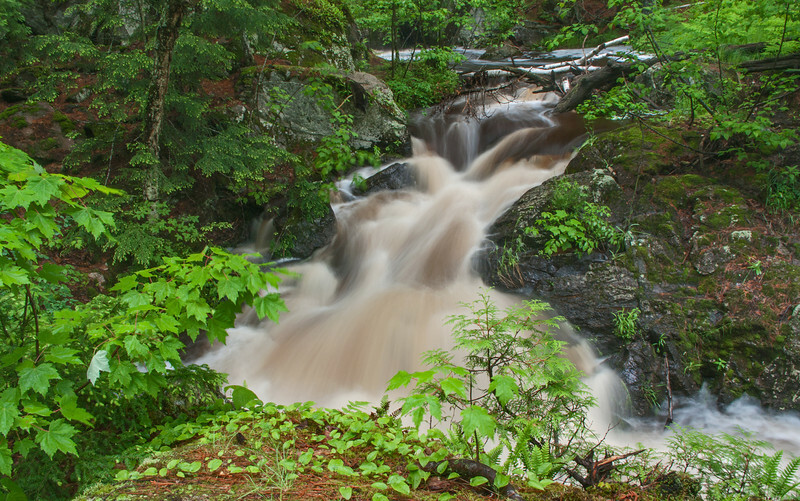 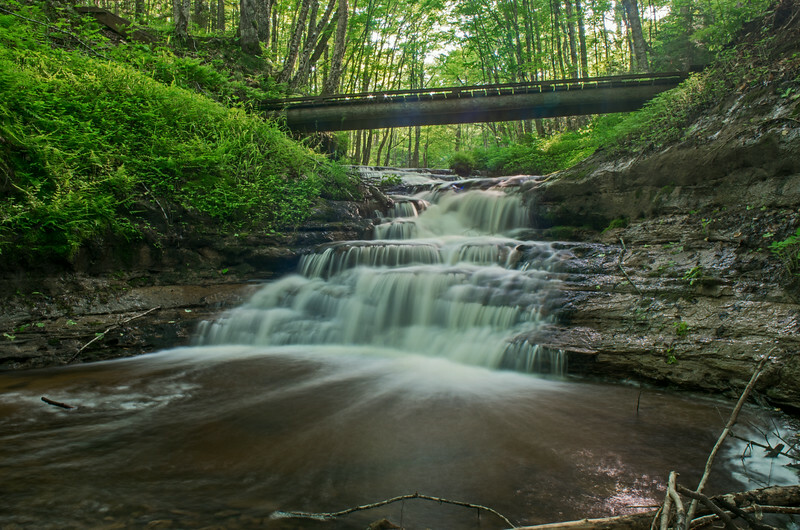 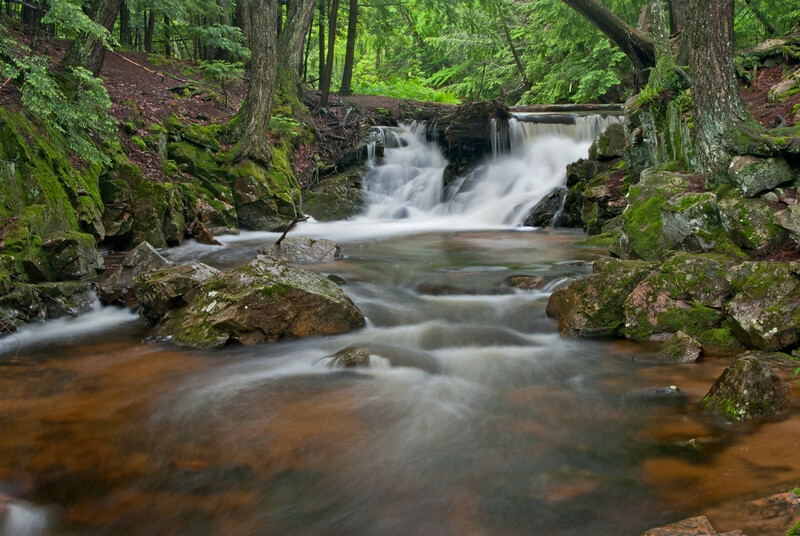 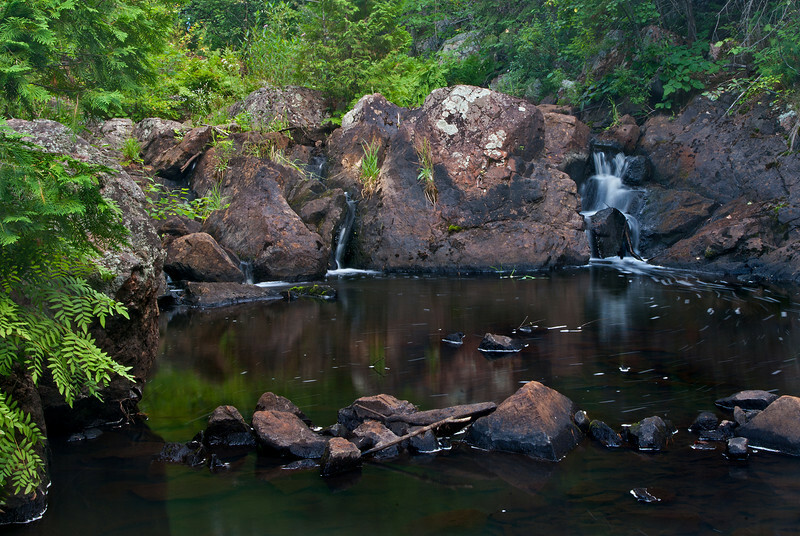 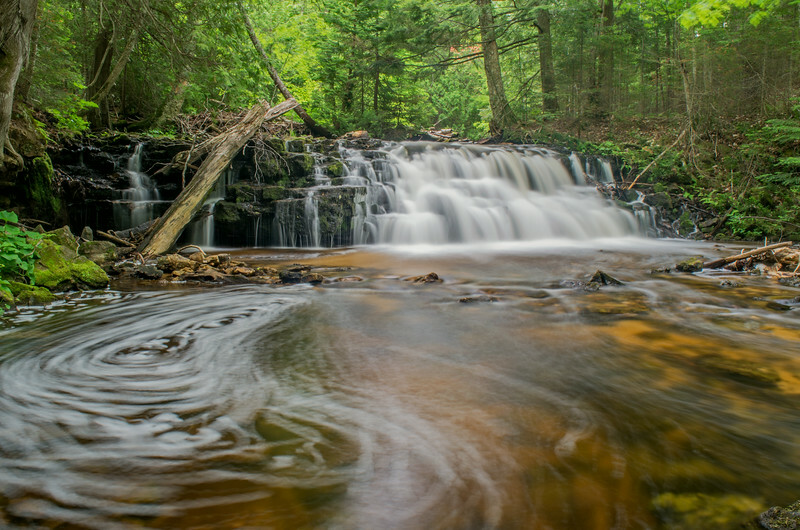 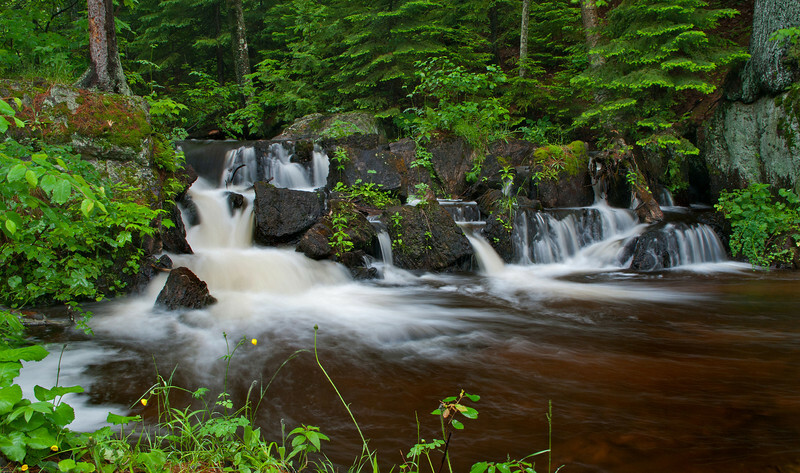 Unnamed waterfalls on Morgan Creek near Marquette Michigan. 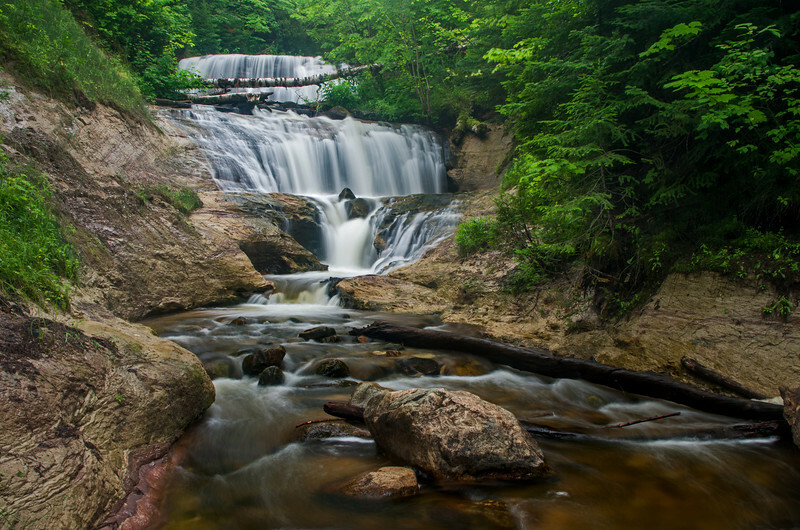 Not far from Palmer Michigan,Schweitzer Creek drops some 30-35 feet in two distinct stages to form Schweitzer Falls. 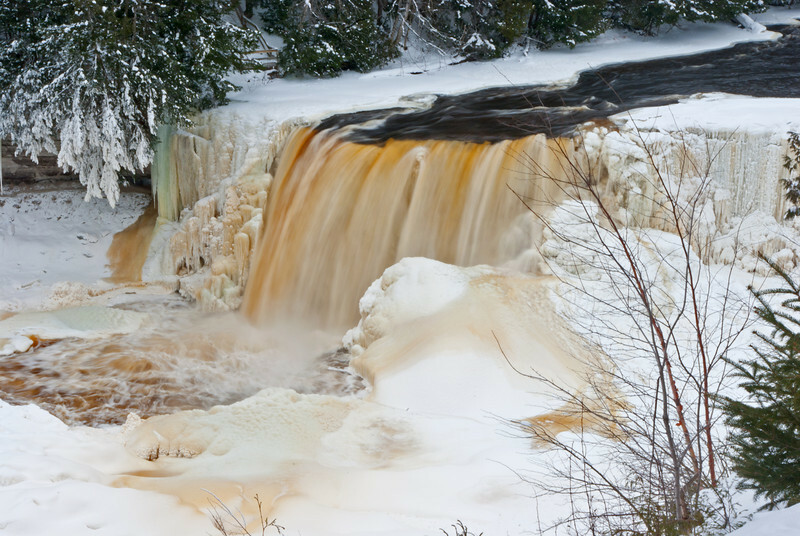 Winter is a great time to visit Tahquamenon Falls State Park,MI.